Price is per 16 1/2-inch strand of these beautiful 7mm x 5mm manmade amber beads - about 50 beads to the strand. What took nature millions of years to create, can be yours in an instant! 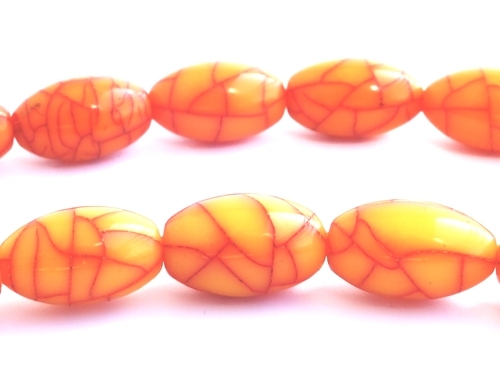 These synthetic beads look and feel exactly like nature amber, but under 1/10 the price - usually much more expensive.